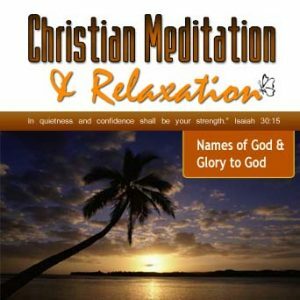 This CD contains Christian meditations, BLESSED BE THE NAMES OF GOD and GLORY TO GOD. Each meditation begins with a progressive relaxation, followed by a Biblical narrative and relaxing background music. Our God is worthy to be praised! Glorify God with all your heart, soul, and strength with Glory to God meditation. You might also be interested in Embracing Your Divinity in Christ.